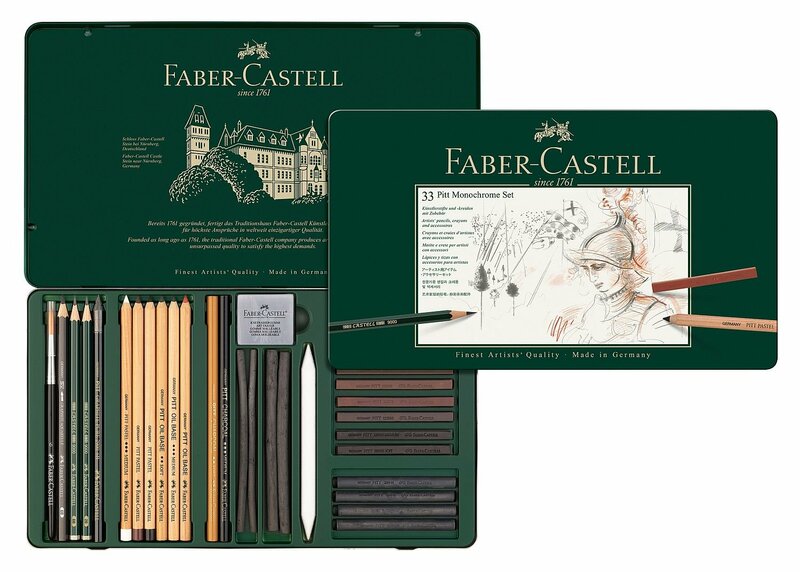 Description: The high quality CASTELL 9000 artists' pencil is also available in a Jumbo option with an extra thick graphite lead. 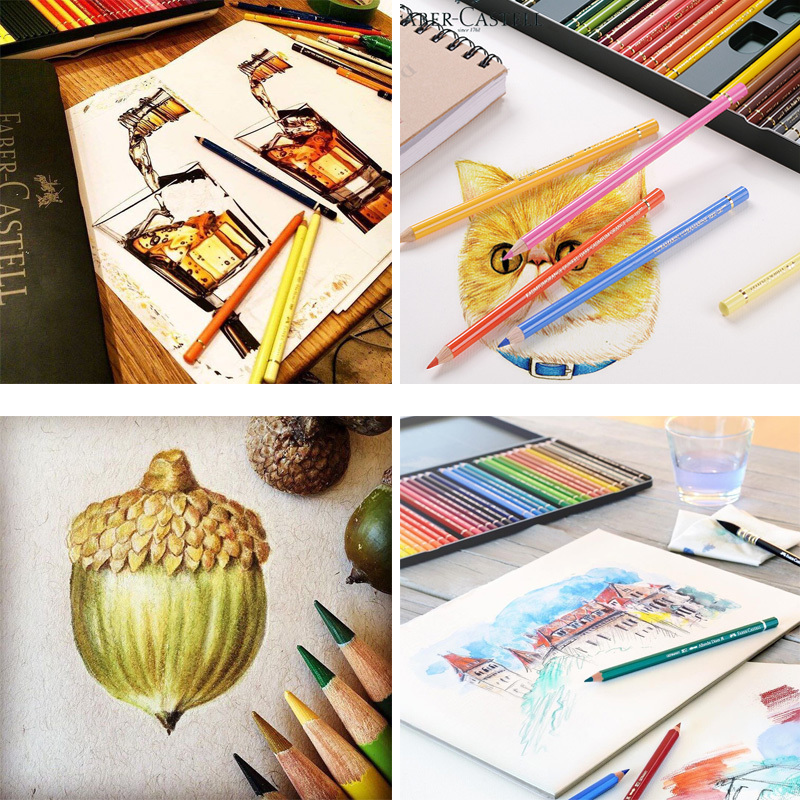 The CASTELL 9000 Jumbo is perfectly suited for quick sketches and drafts as well as shading extended areas and artistic work. 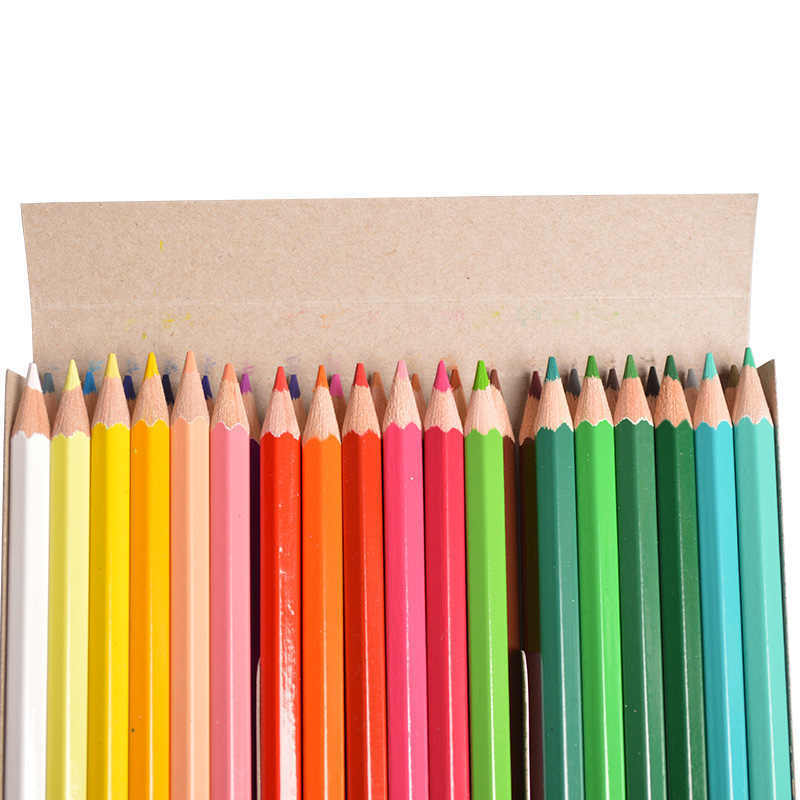 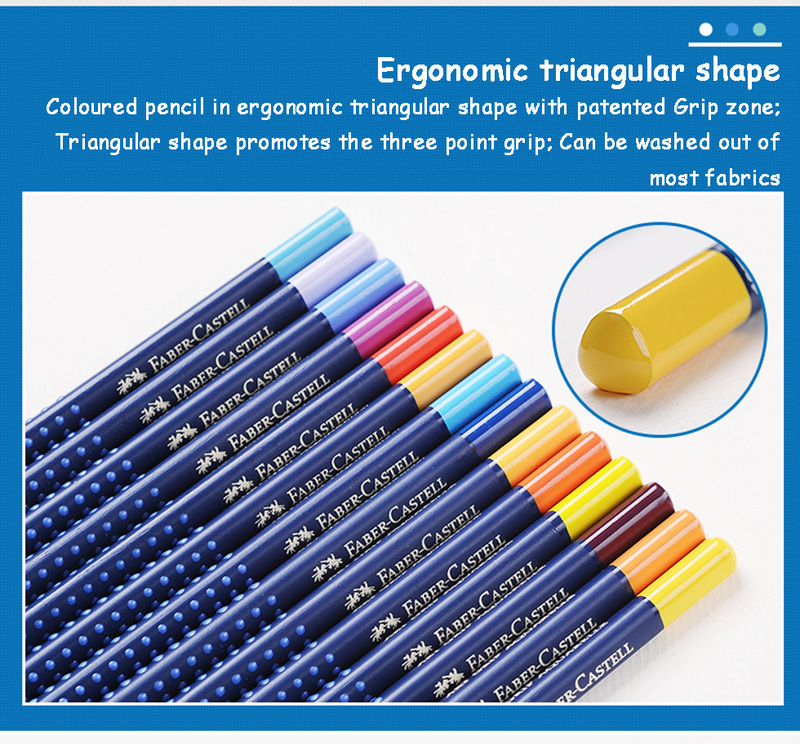 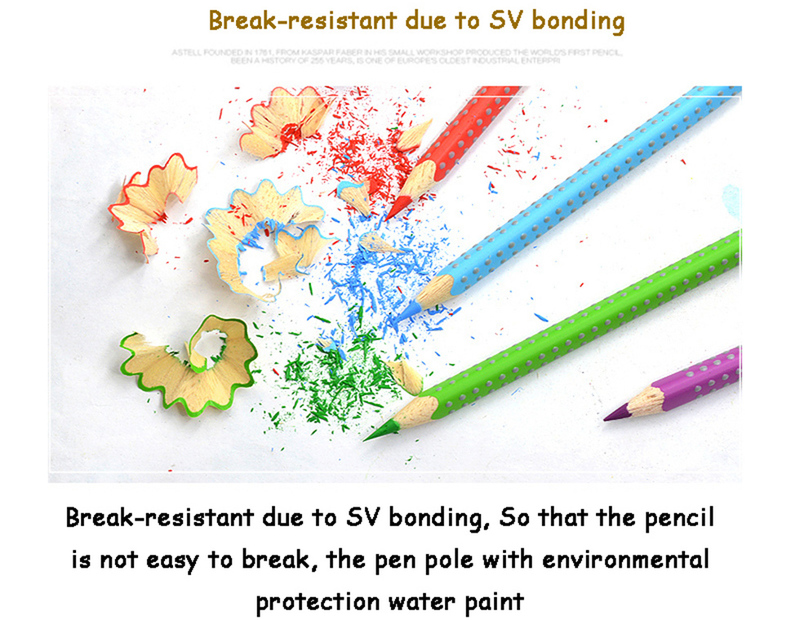 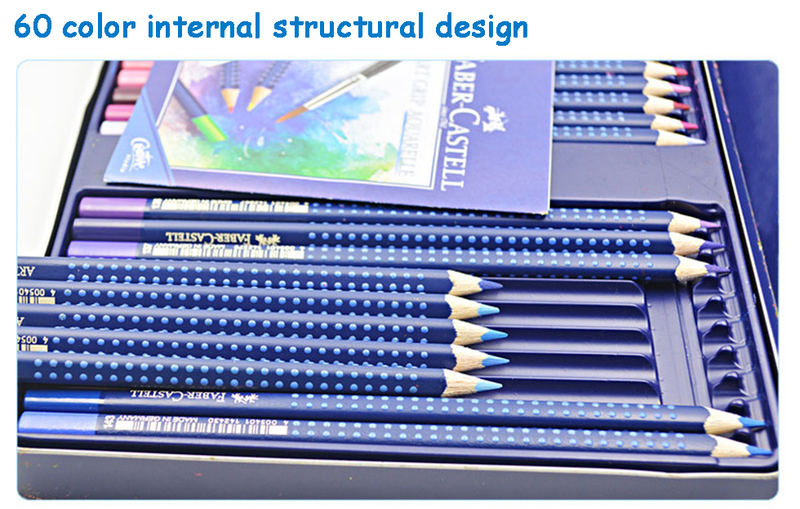 The Colour Grip coloured pencils feature an ergonomic triangular barrel and patented Soft-Grip zone. 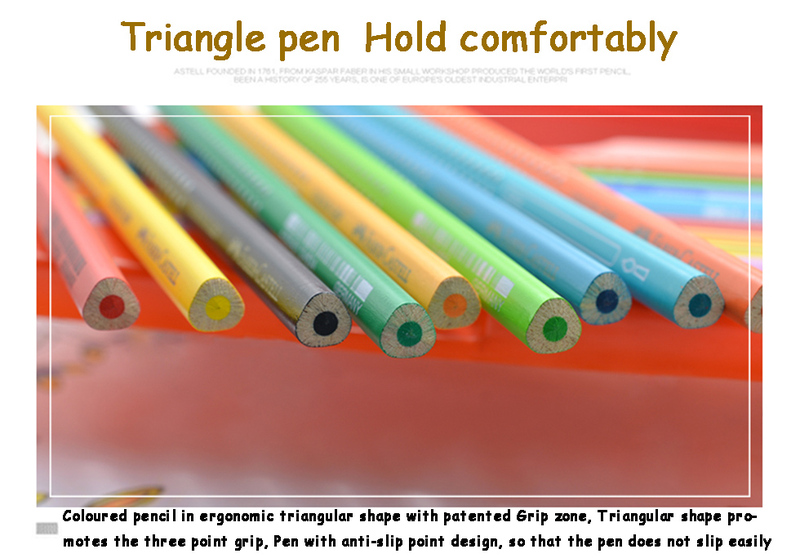 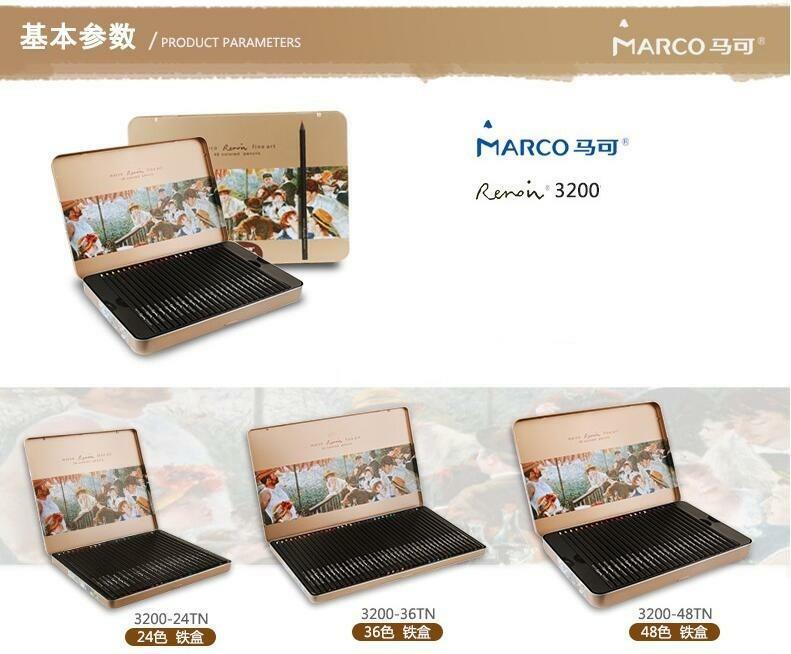 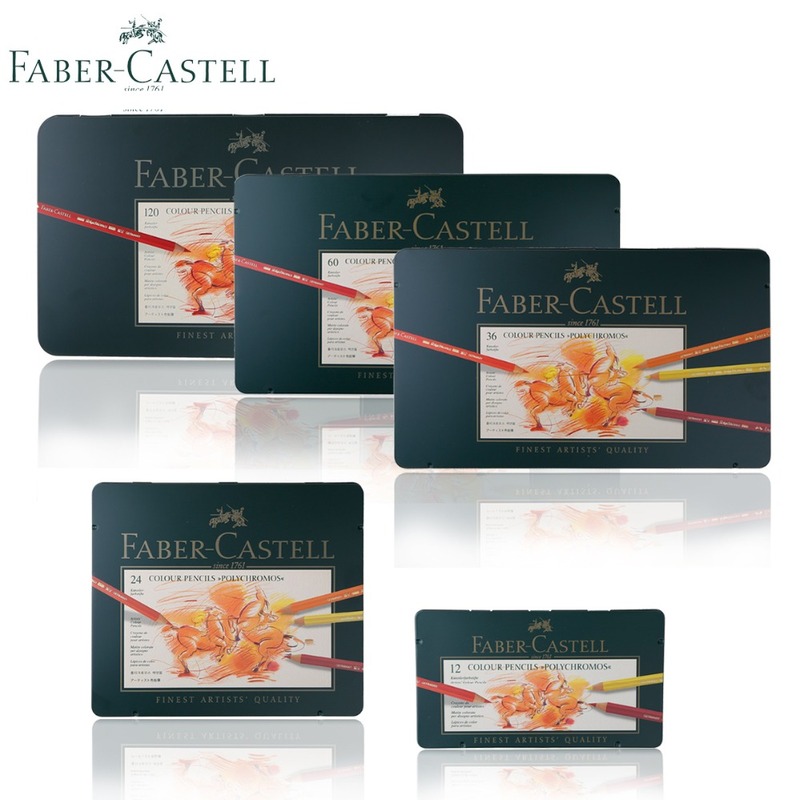 This ensures fatigue-free and comfortable drawing. 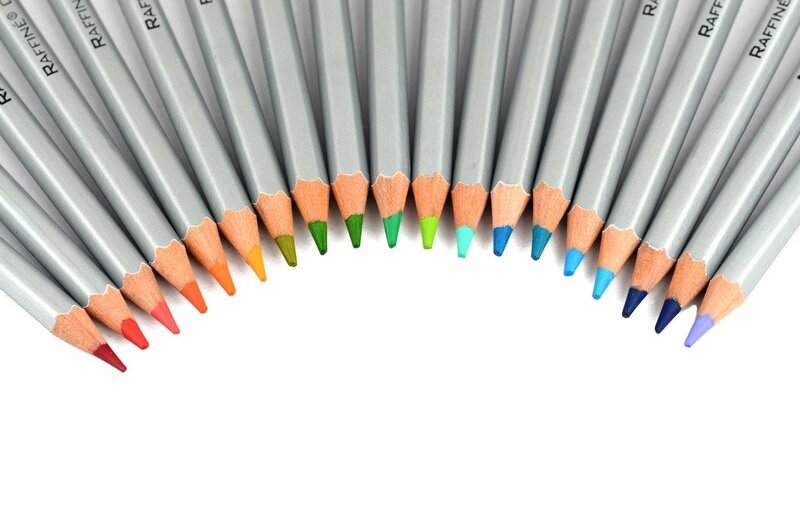 The high pigmentation in the lead makes colours very vivid. 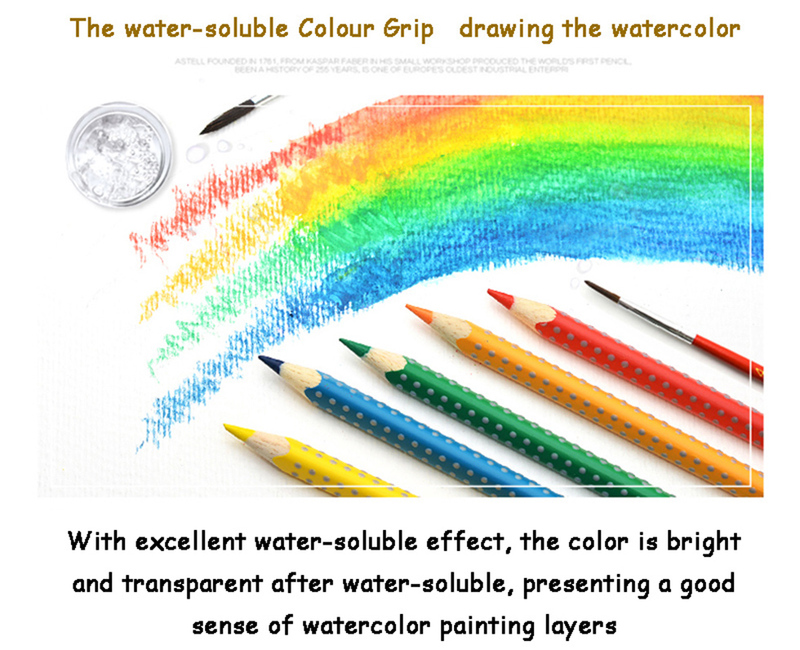 The water-soluble pigments give fantastic results: simply draw your picture then apply water to a paintbrush to create beautiful watercolour images. 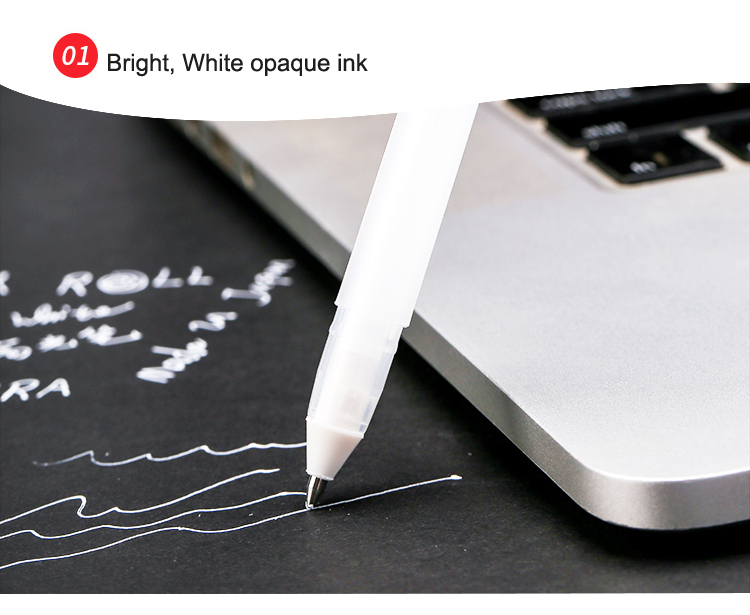 white and with shadows deepened with black. 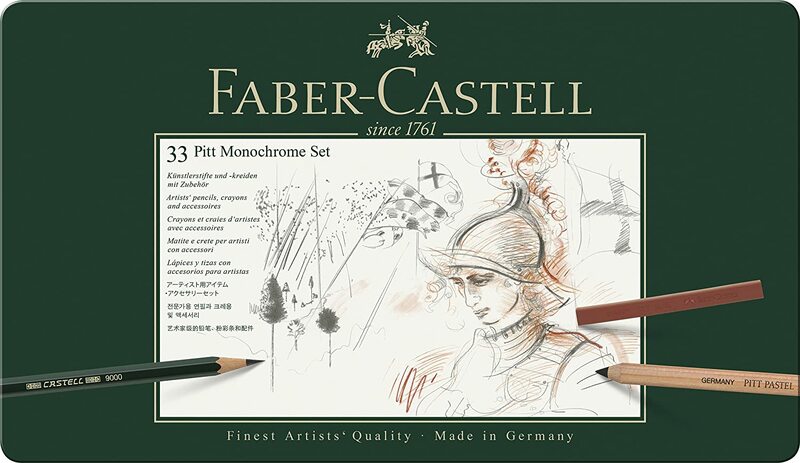 Faber-Castell's PITT monochrome crayons hark back to this long tradition of figure drawing, which is why the crayons designed for sketching are harder than conventional pastel crayons. 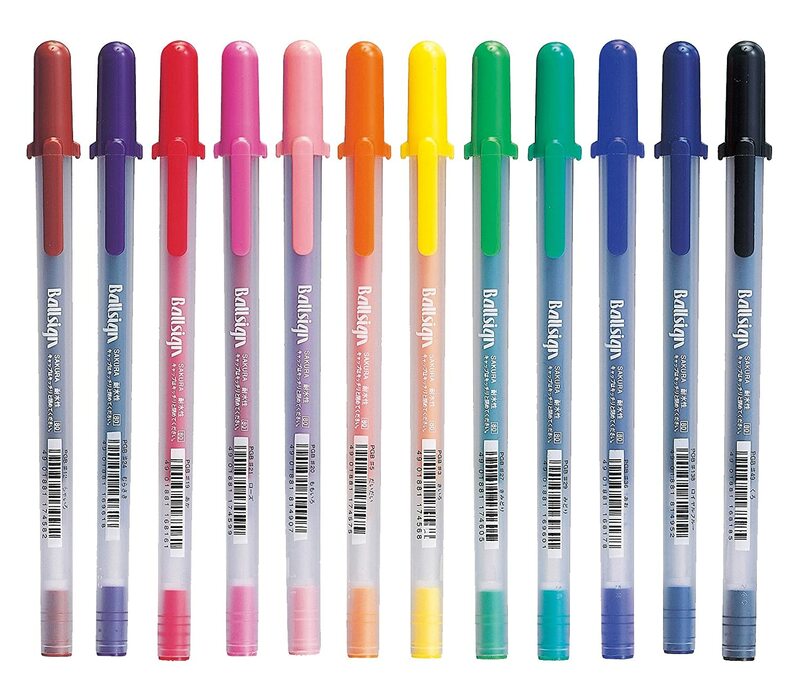 For this reason, the lines do not disappear completely when smudged. 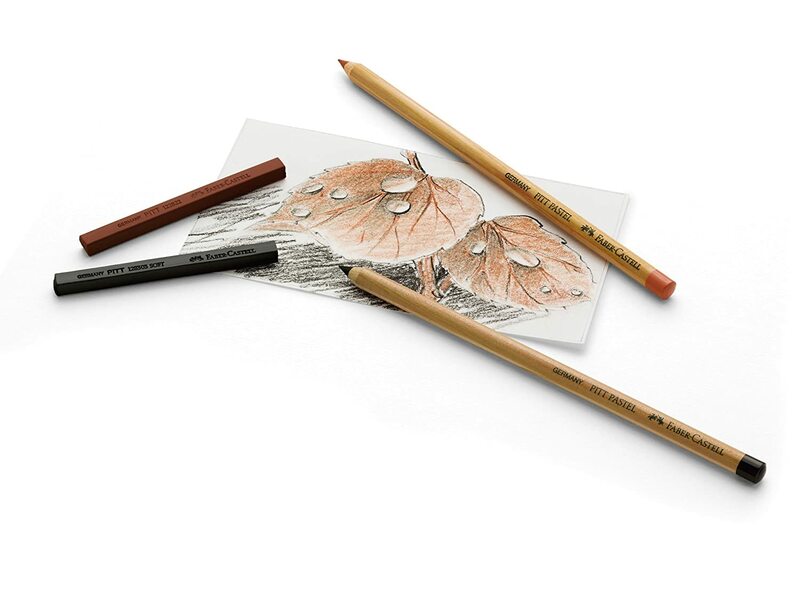 The sanguine and sepia crayons are supplemented by oil-free and oil-based drawing pencils for sketching and details. 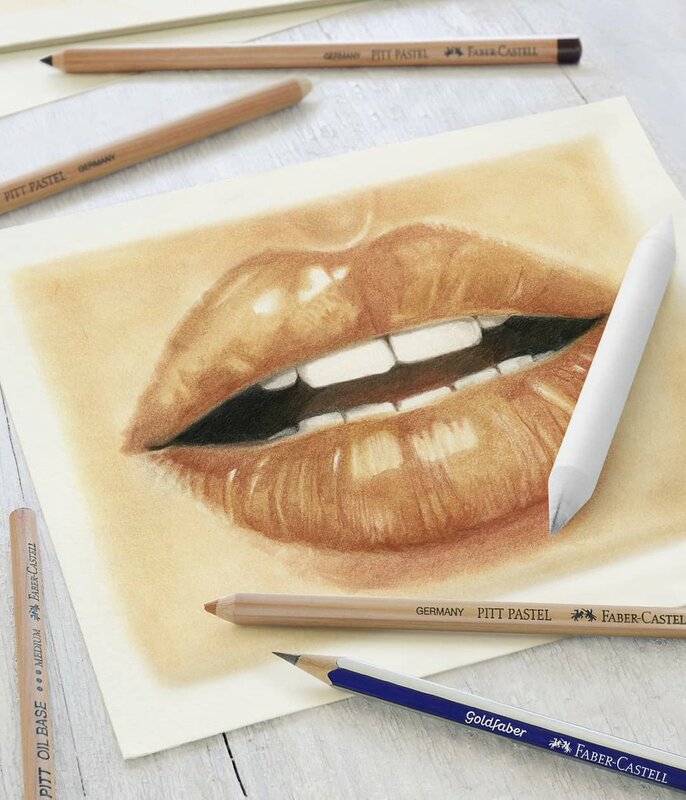 Pencil color: 12 24 36 48 color. 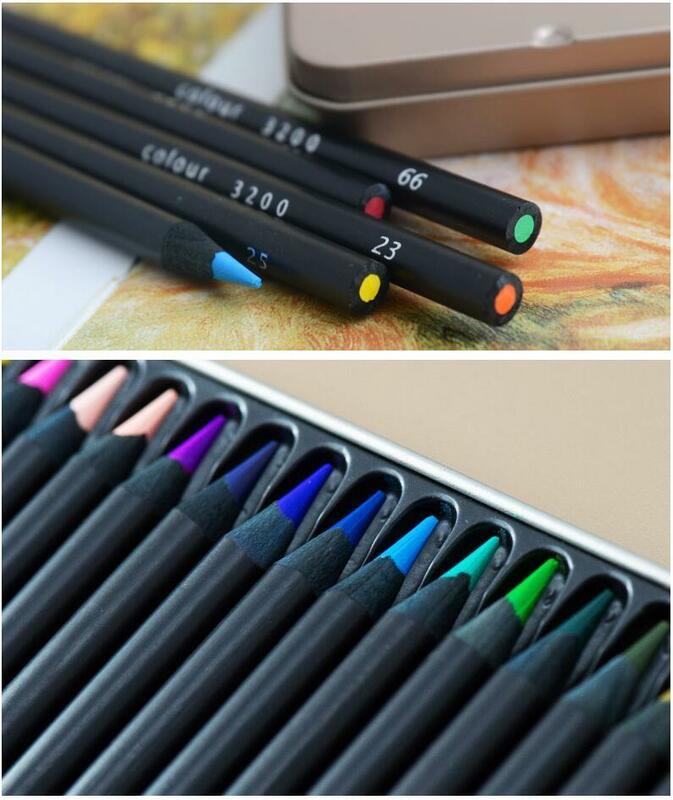 Function: Colored Pencil / Gift. 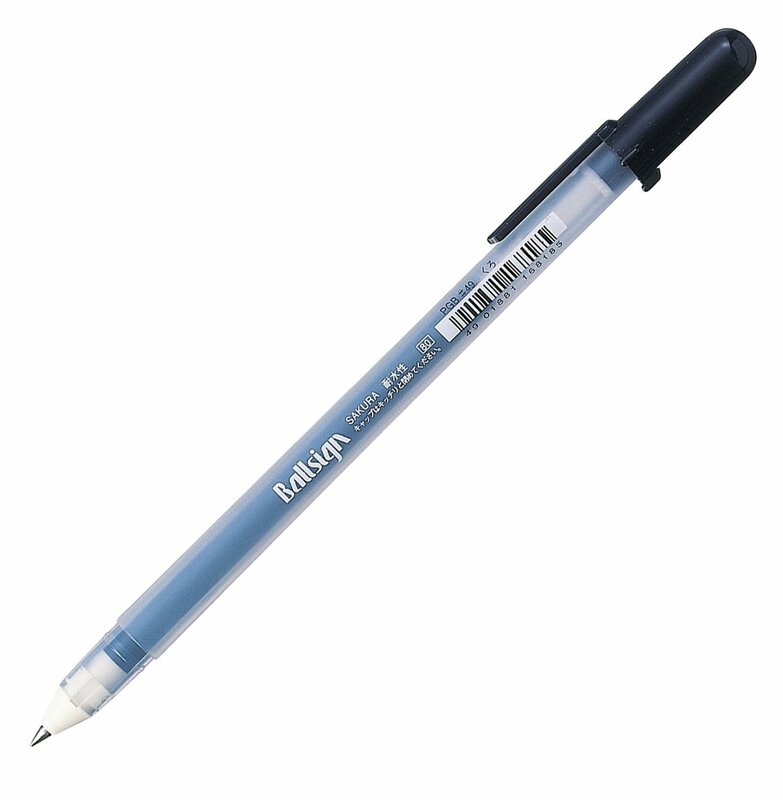 These pens write with a beautiful, subtly shimmering metallic ink with a hint of glittery sparkle. 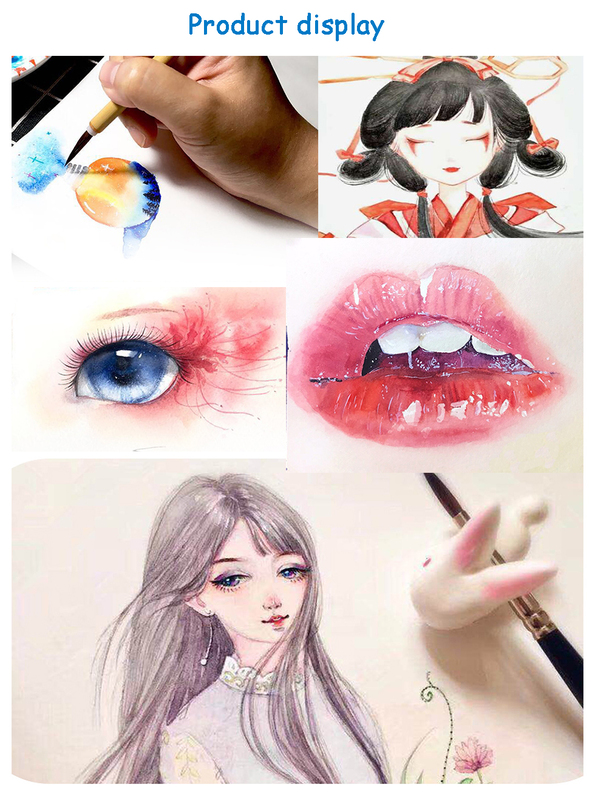 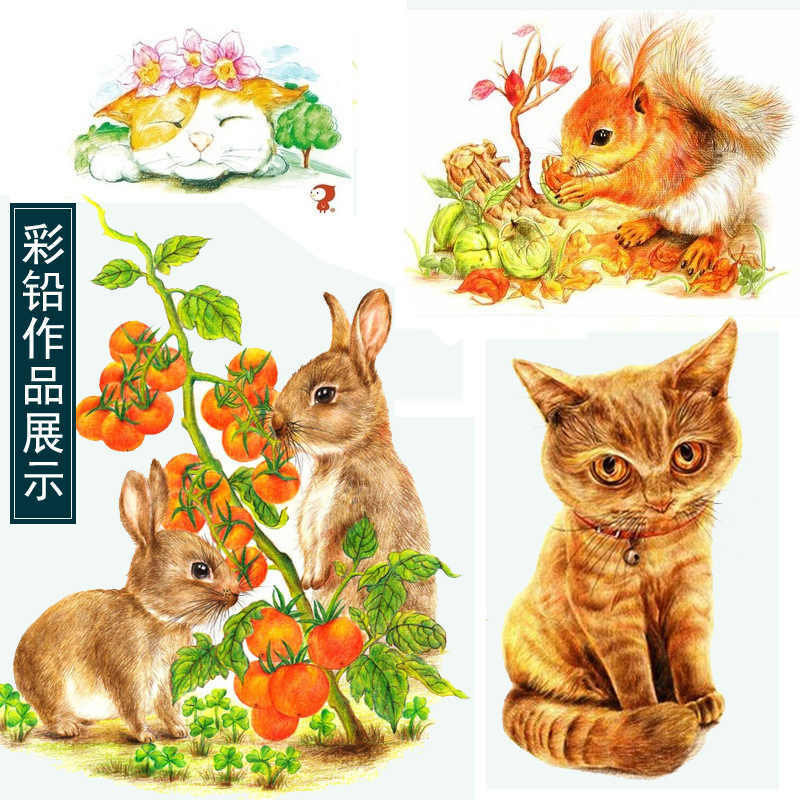 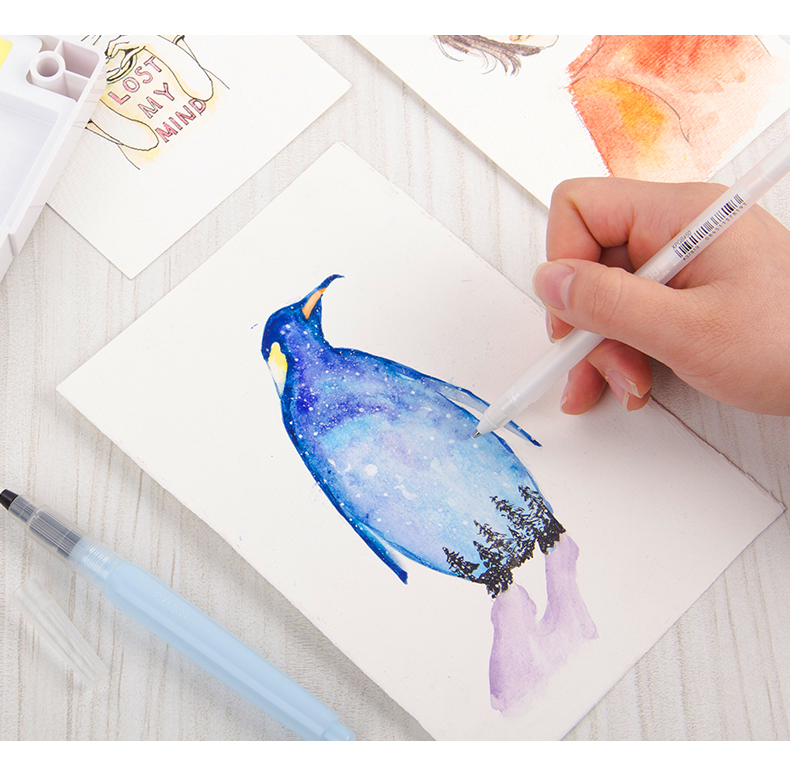 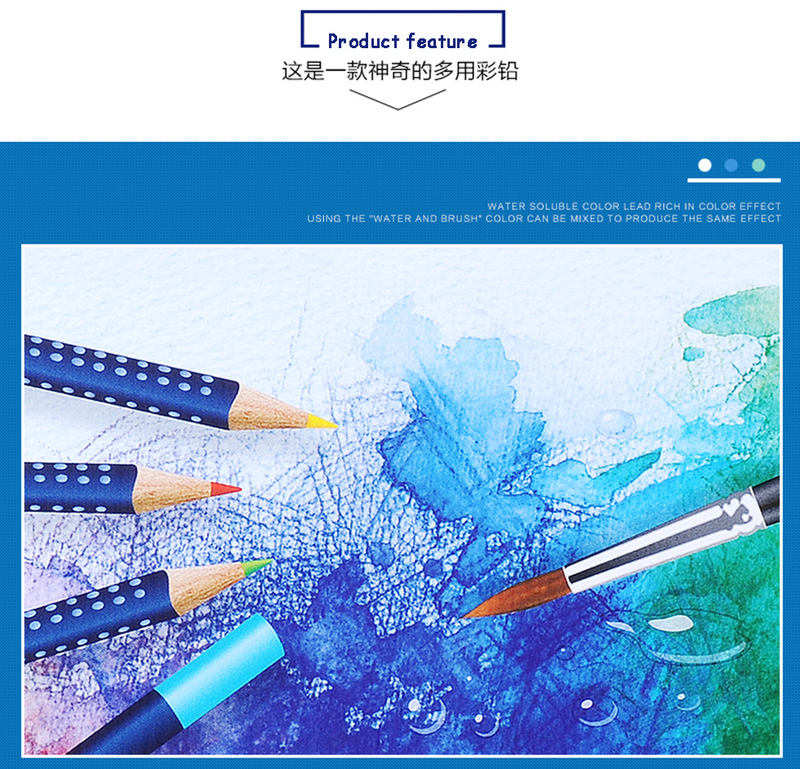 The vivid, water-based pigment gel ink writes well on light and dark-colored papers, as well as photos and other coated papers. 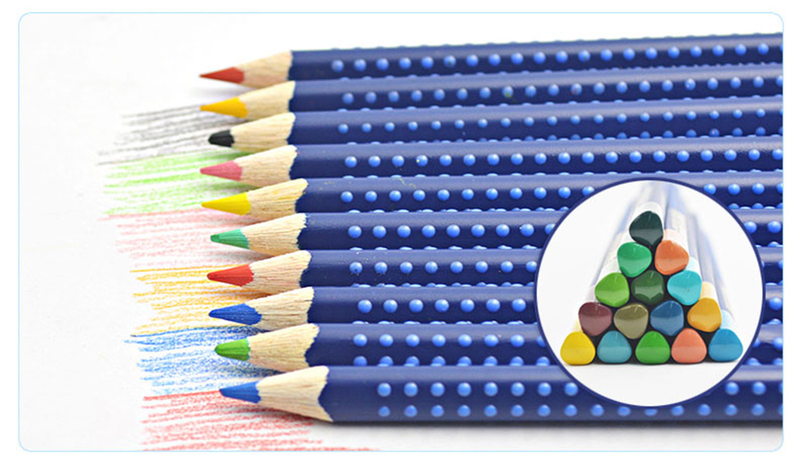 This set includes 9 colors: Blue, Emerald, Gold, Green, Orange, Pink, Purple, Red, and Silver. 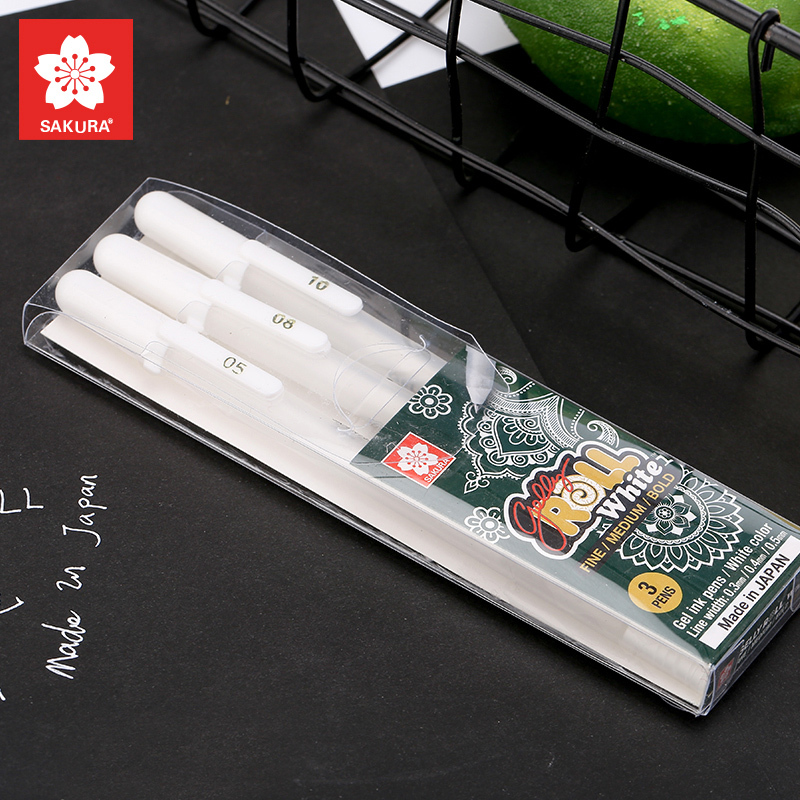 Sakura has perfected the smooth ink flow technology of Gelly roll classic White to now offer our most popular color in three nib sizes: 05 fine point, 08 medium point, and 10 bold point. 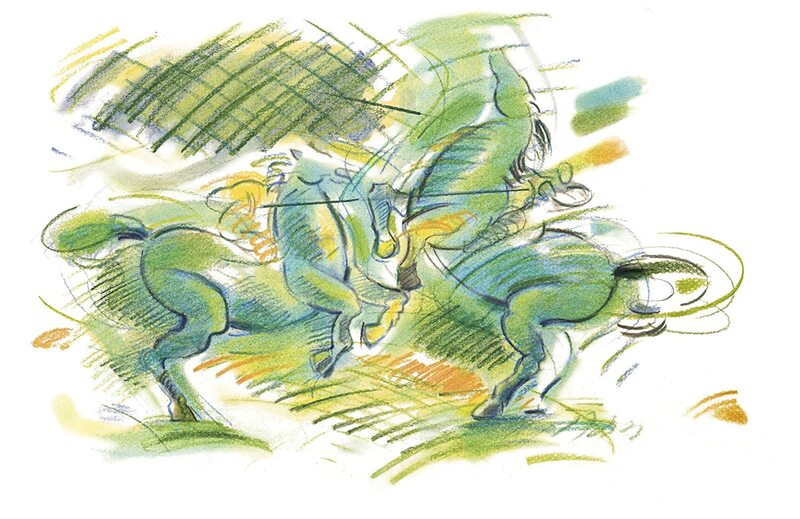 The opaque White ink stands out on dark and colored papers and makes highlights pop in illustrations and Comics. 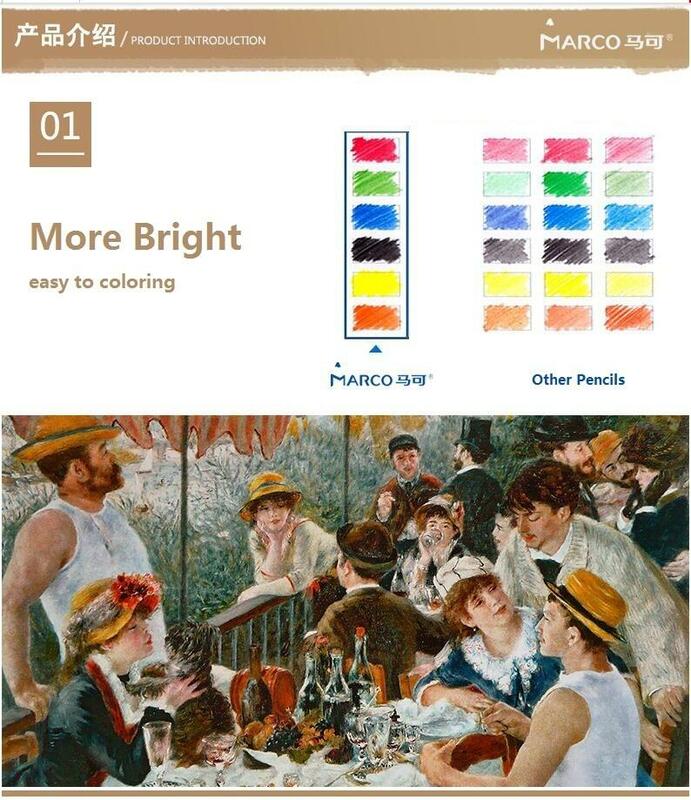 Use it for hand lettering, accents party crafts, layered on top of colors for mixed media and bright highlights in tonal drawings. 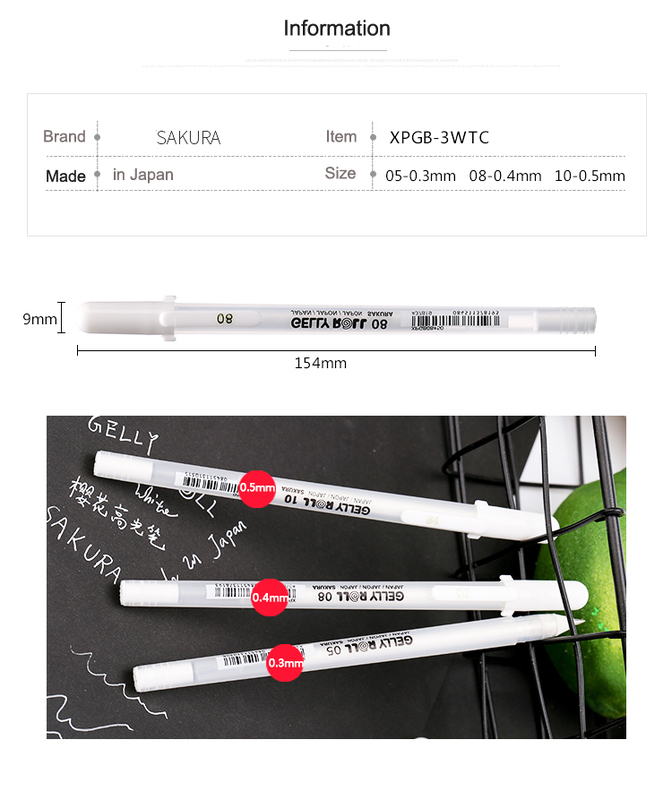 Elevate your writing and drawing to another level using the range of thick and thin lines, small detail and unique bold marks. 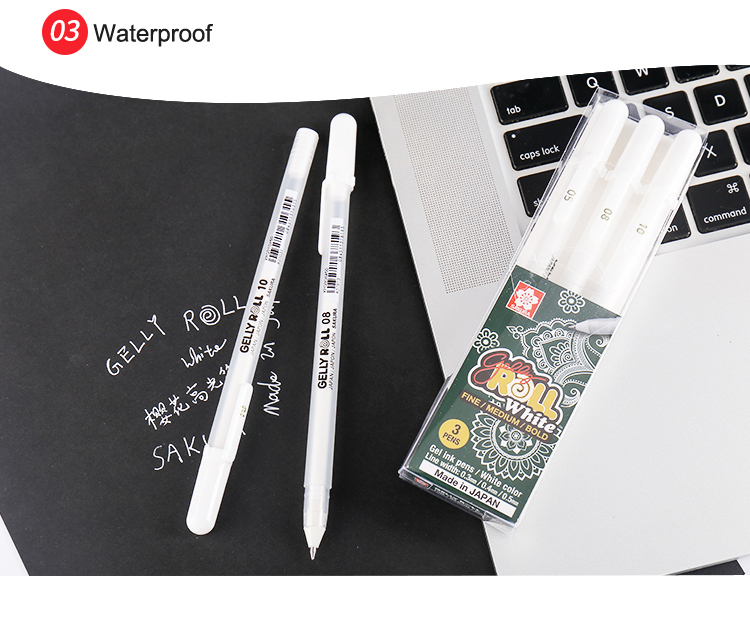 Gelly roll White classic assorted 3Pk contains 05 (fine point), 08 (medium point), 10 (bold point). 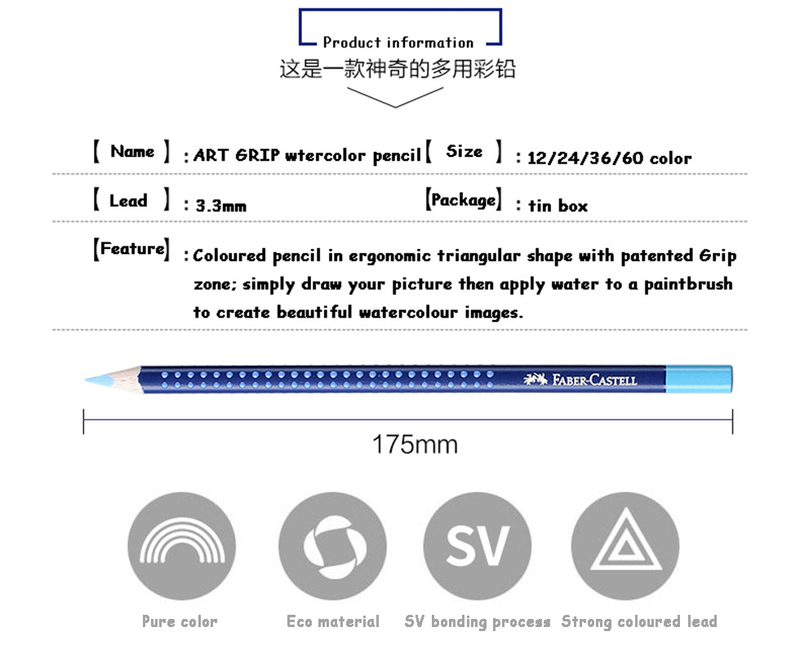 this pack contains 3 pens. 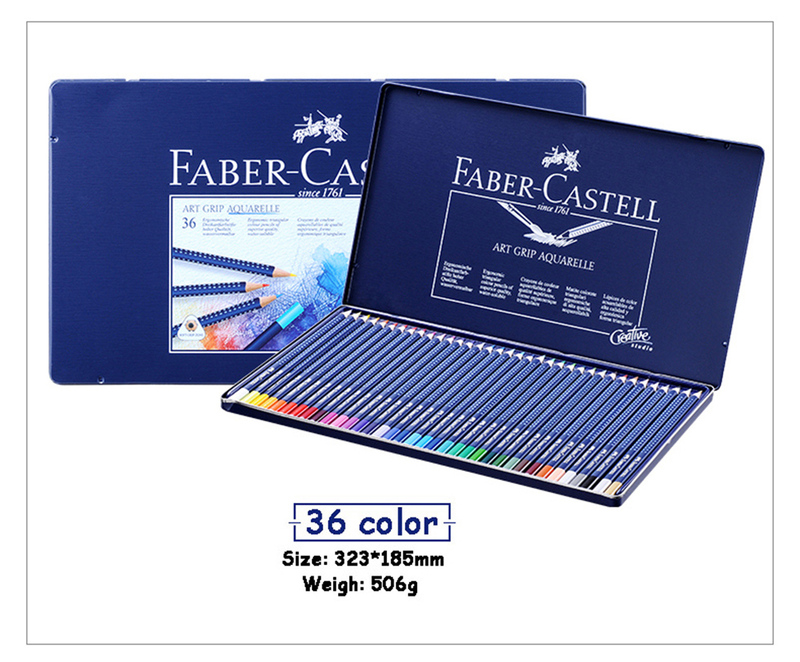 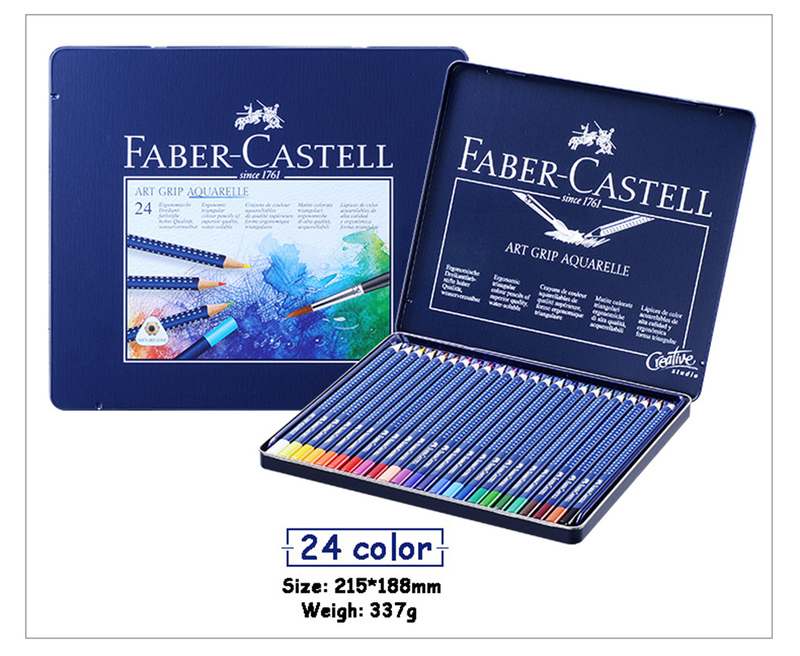 Faber-Castell Goldfaber Aqua Watercolour Pencils are the perfect way to indulge in the soft, stunning art of watercolour. 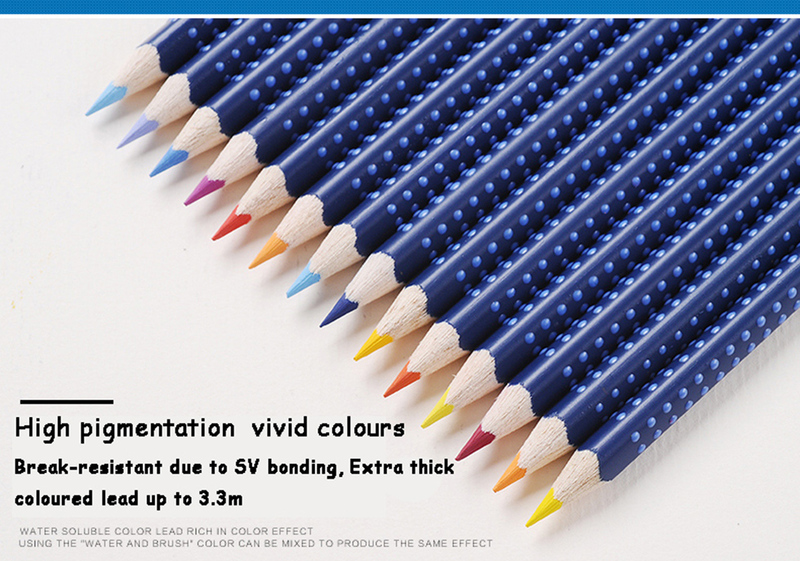 Highly pigmented 3.3mm leads offer excellent lightfastness and soft, vibrant colour laydown. 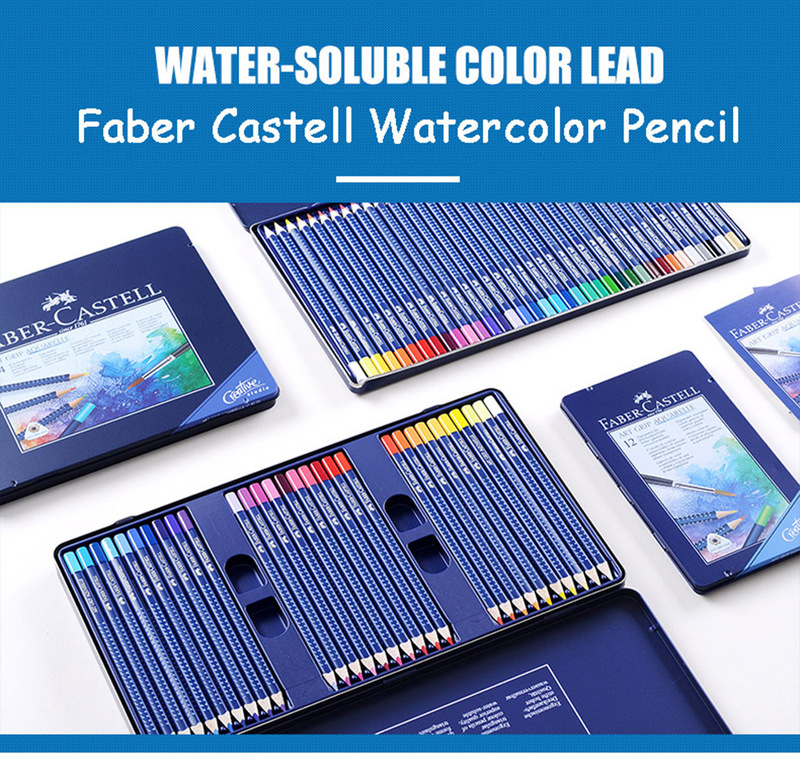 You can achieve incredible watercolour effects using these pencils with both wet and dry techniques. 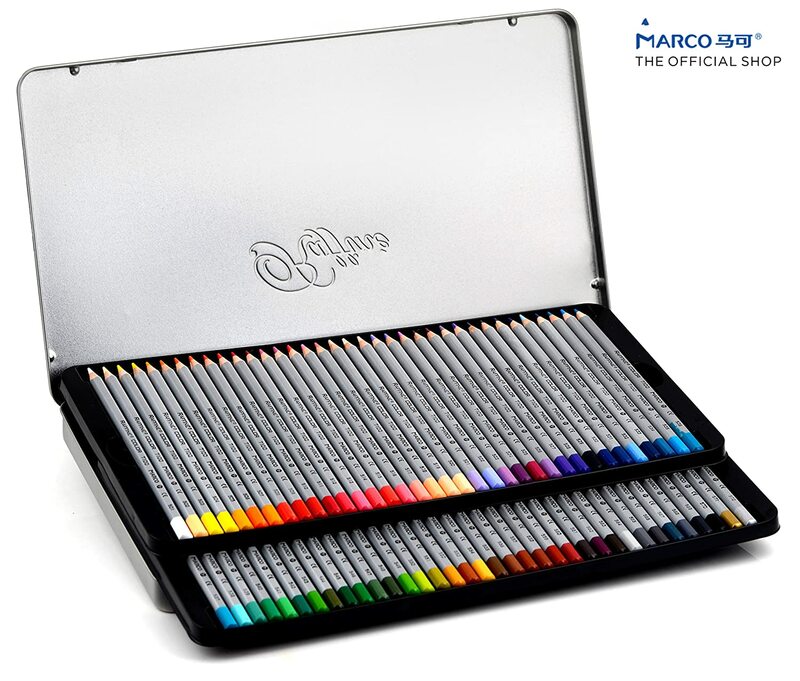 They are fully water-soluble, allowing you to use a wet brush or water spray to create your works of art. 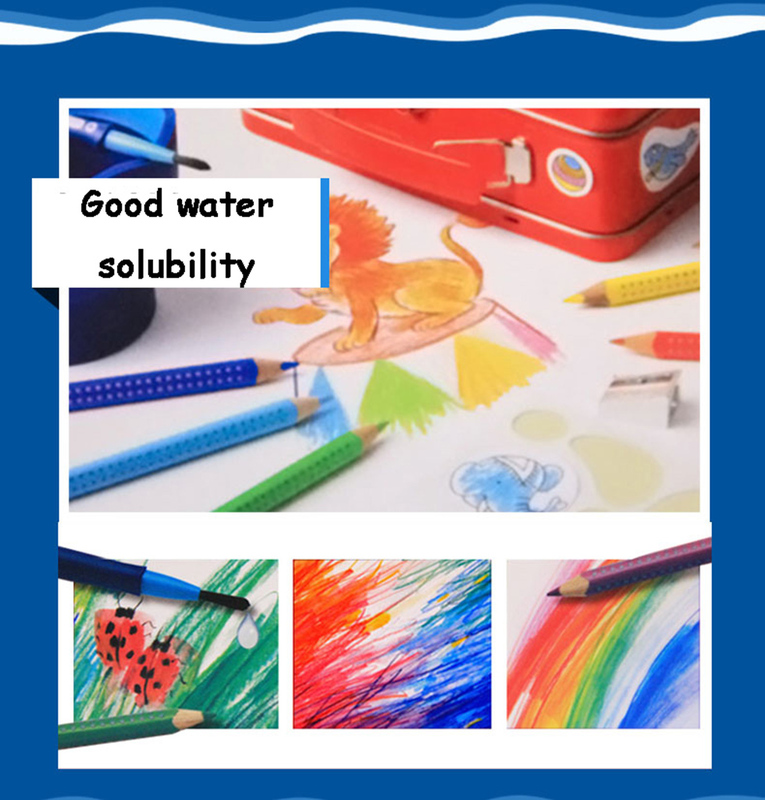 Made with an innovative technique, they will offer you excellent lightfastness and enable you to create amazing watercolour effects time and time again. 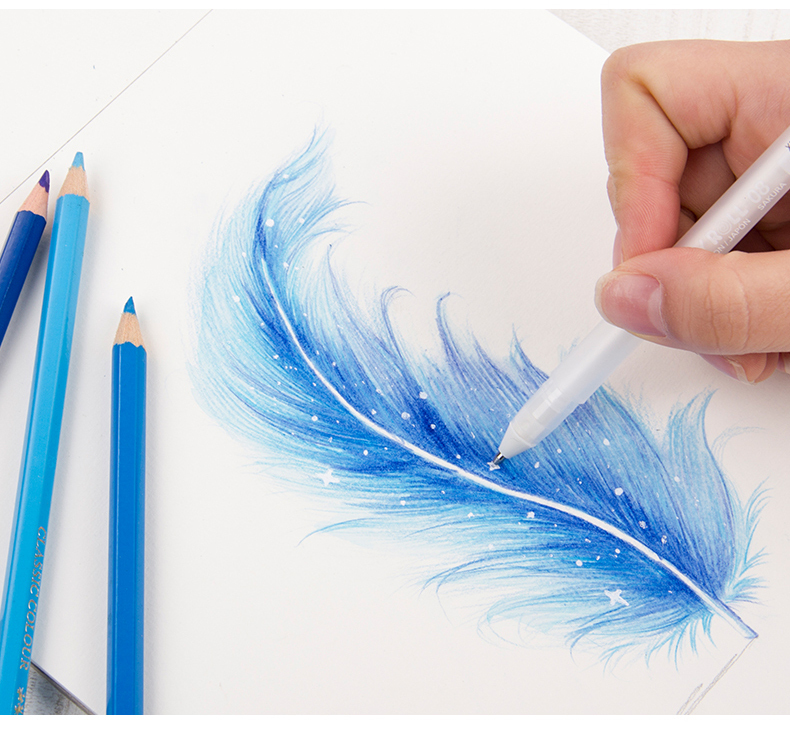 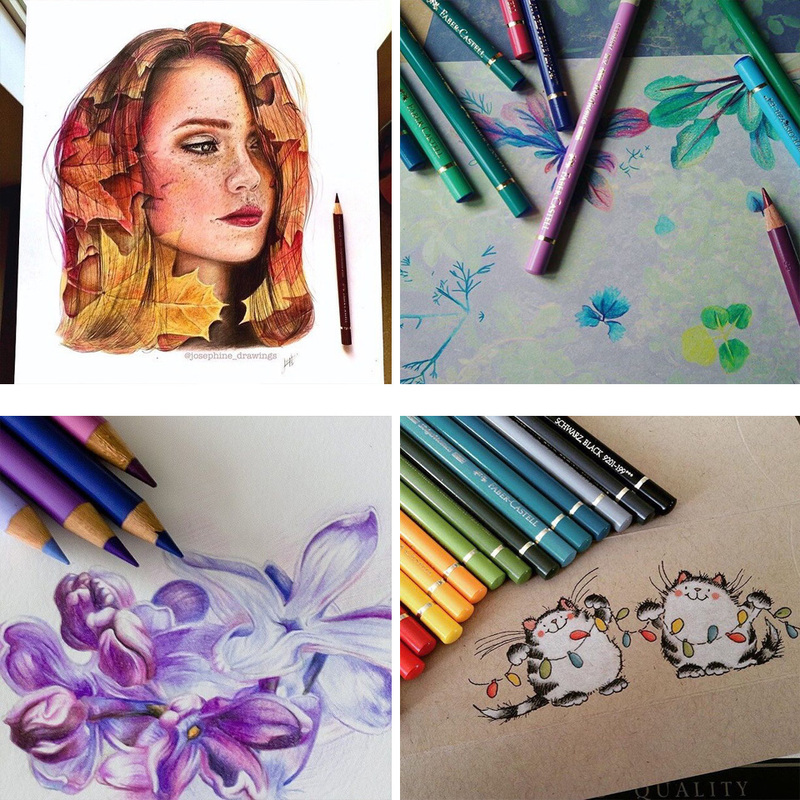 Work on light, coloured and dark papers to design incredible works. 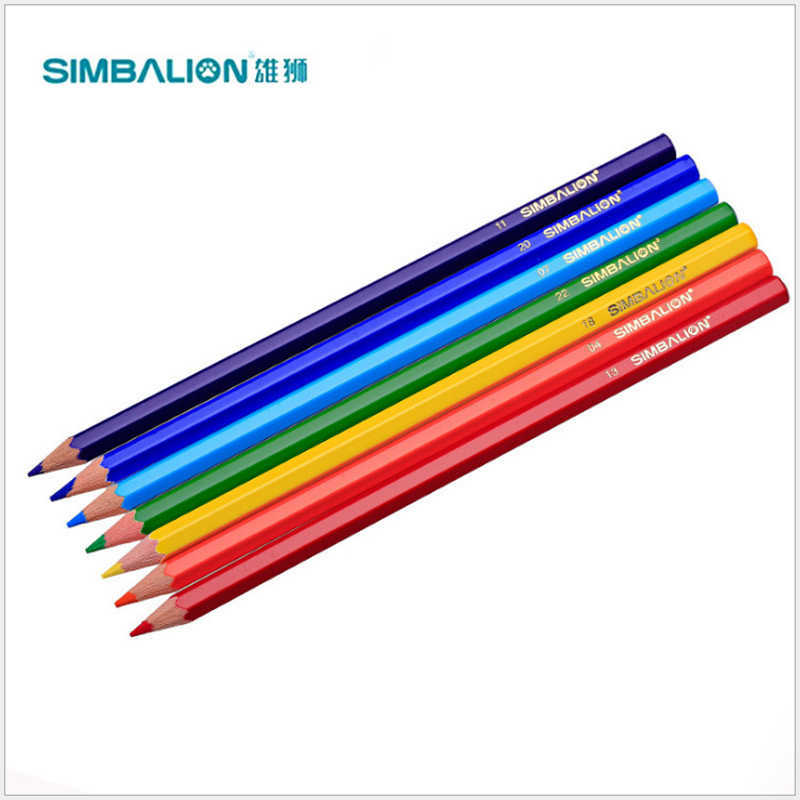 They have high break resistance and are easily sharpened. 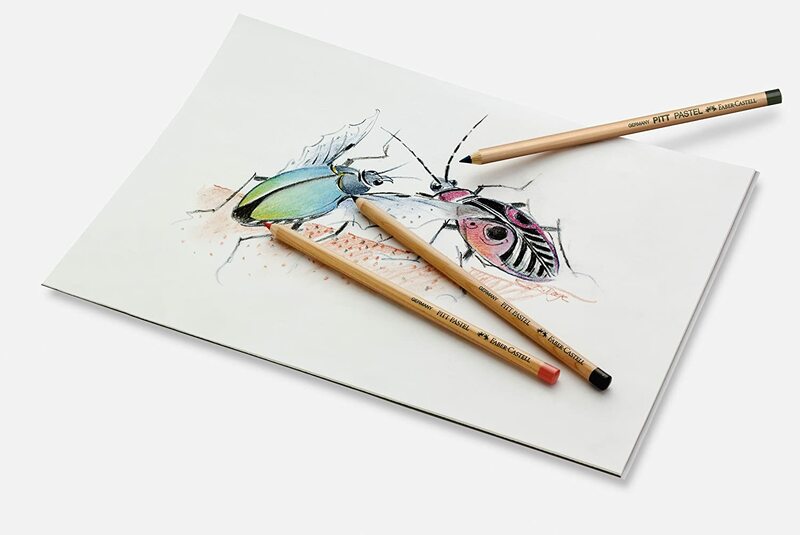 The barrel is made from totally sustainable wood. 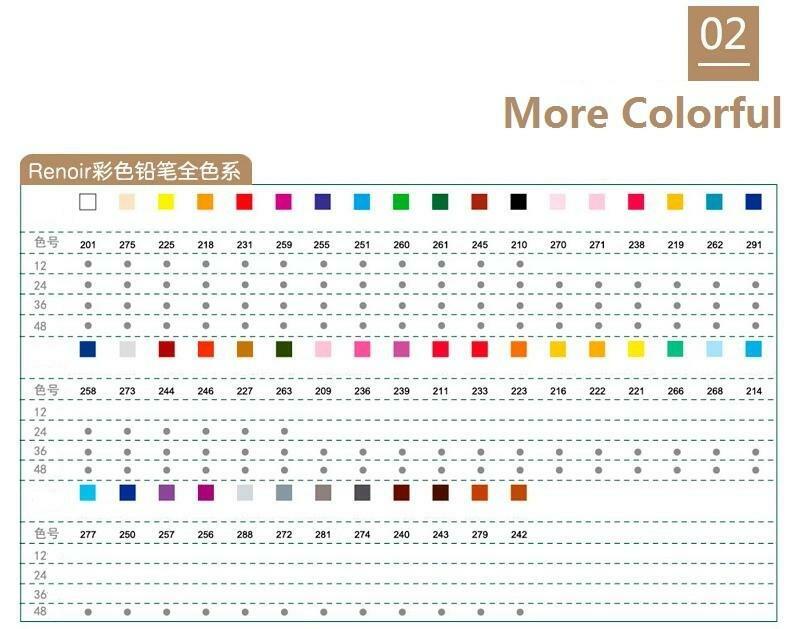 Available in Garnet Rose, Amethyst Purple, Aqua Marine Blue, Diamond Silver, Emerald Green, Pearl Pink, Ruby Red, Opal Green, Sapphire Blue, Topaz Yellow, Sardonyx Orange, and Turquoise Blue. 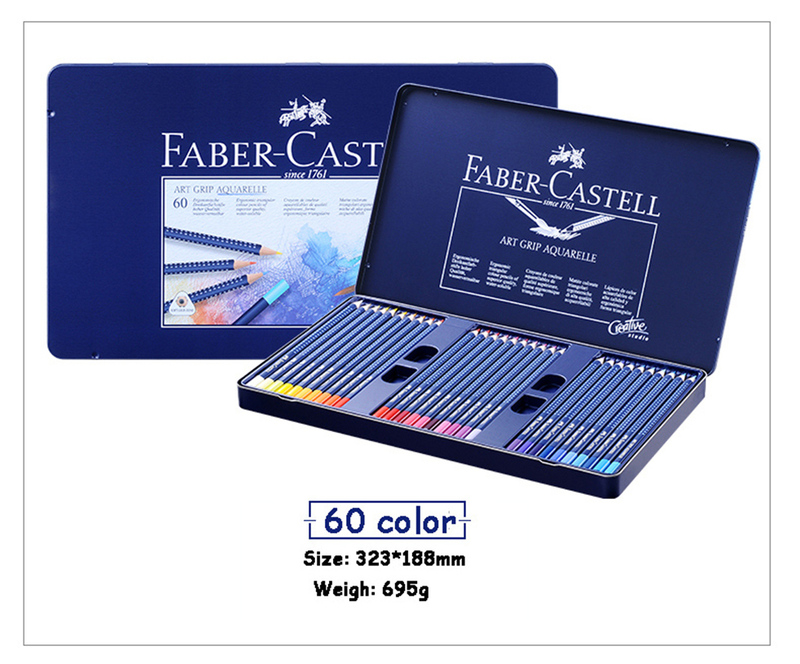 HIGH QUALITY, work smoothly on paper and sharpen easily without tips breaking off, creating smooth color laydown with bold colors for superior blending and shading. 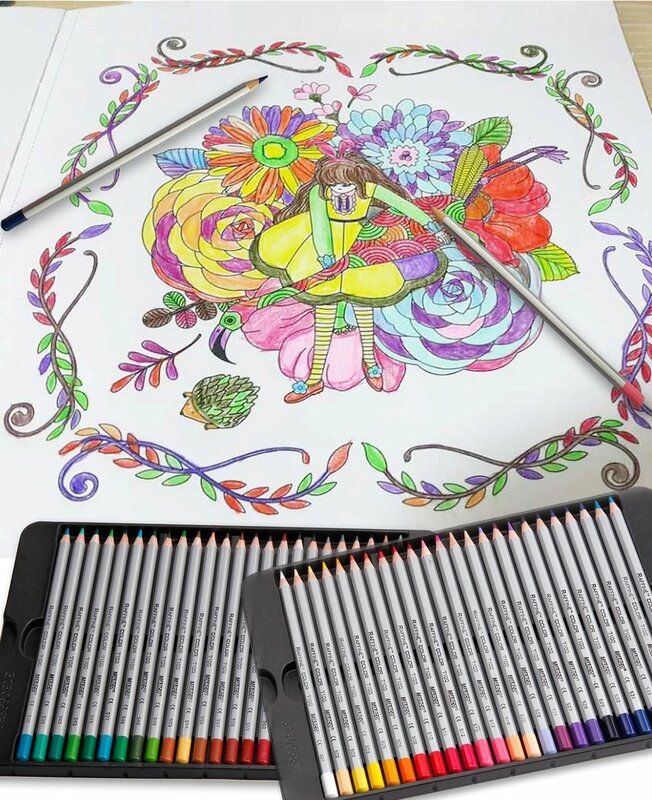 MULTIPLE PURPOSES, this artist-quality coloring pencil set, with good print effect and vibrant colors , is wonderful for coloring Secret Garden, Enchanted Forest, and Lost Ocean Coloring Book. 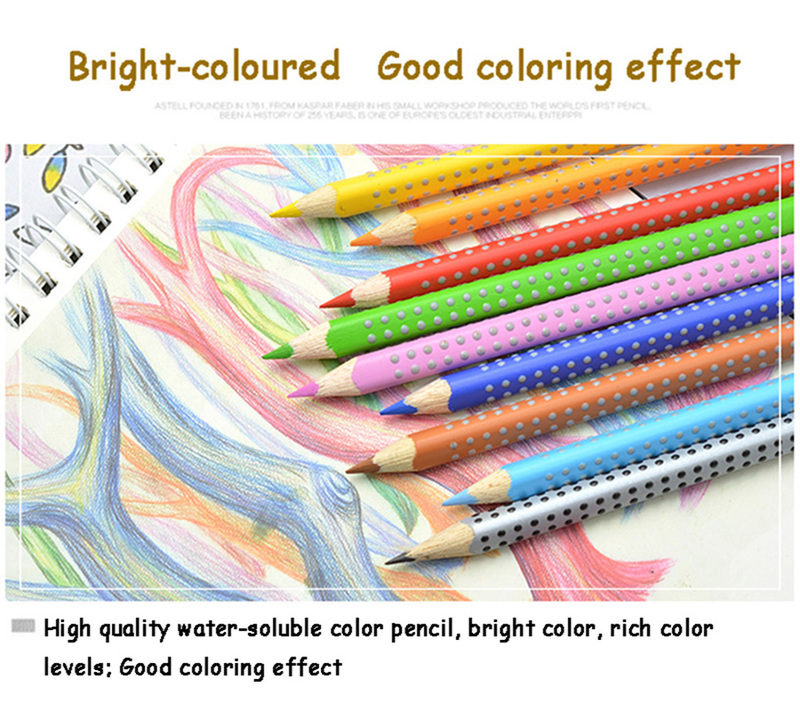 COMPLETELY SAFE, beautifully crafted with wood, which is environmentally friendly and non- toxic. 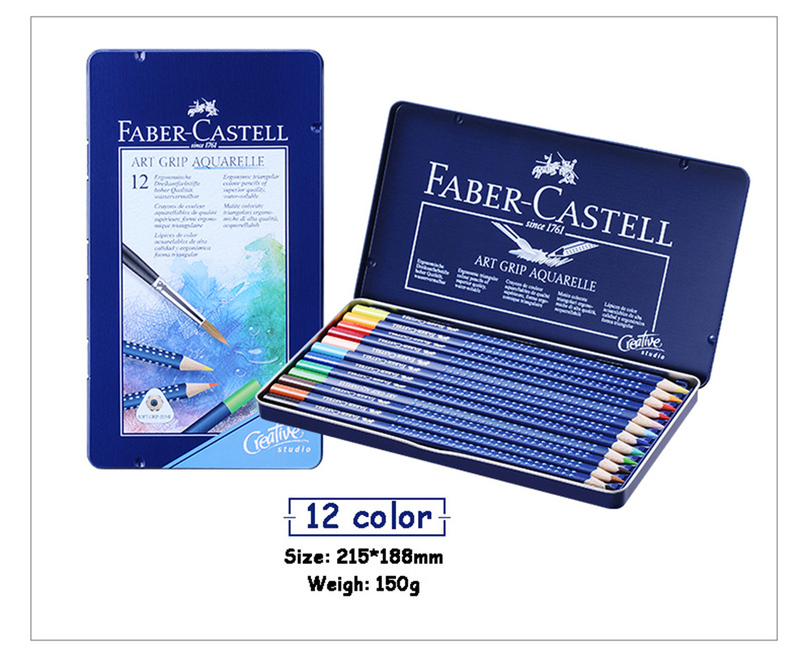 NICE FESTIVAL GIFT for both kids and adults. 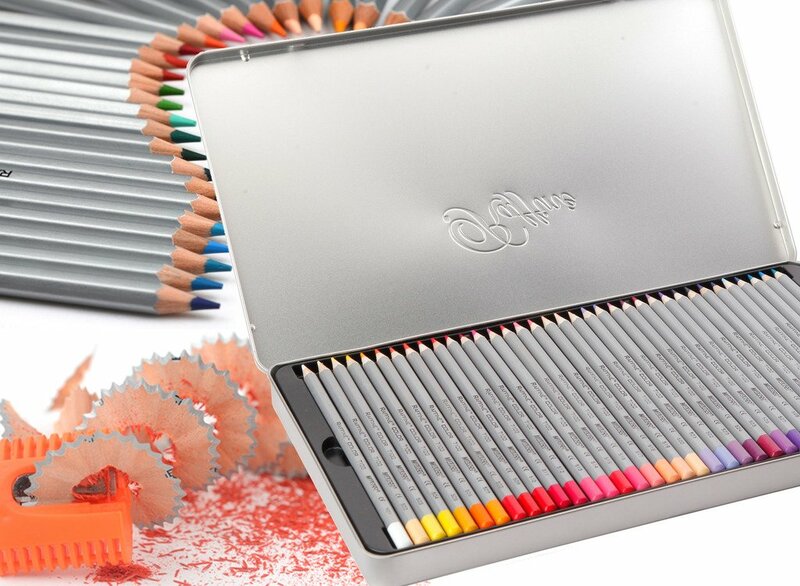 Perfect for encouraging creativity and relieving stress. 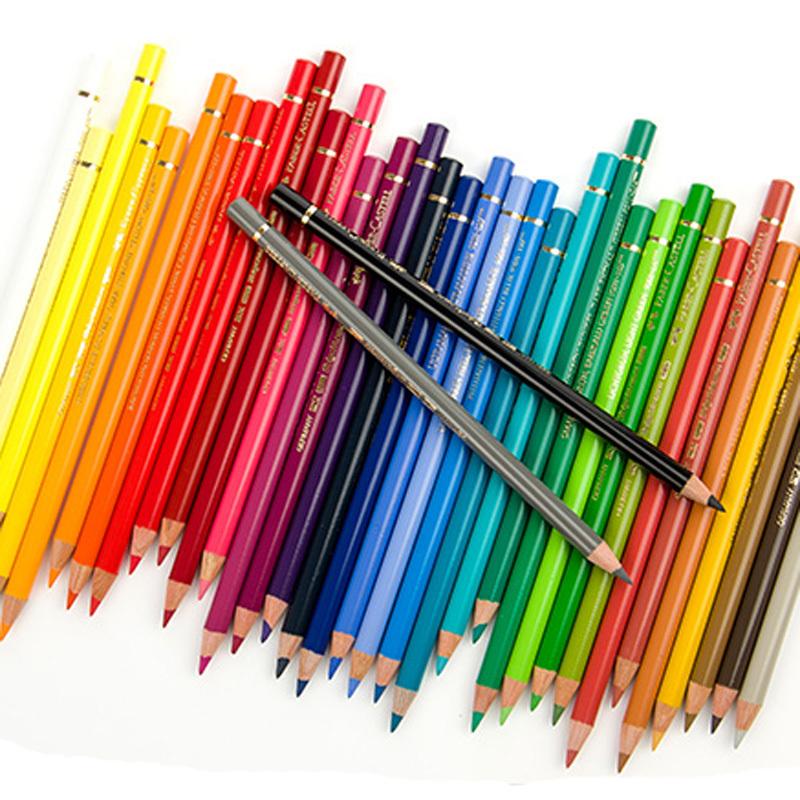 Raffine collection has very vibrant colors, it's a high value set for all amateur artists, hobbyists and coloring enthusiasts. 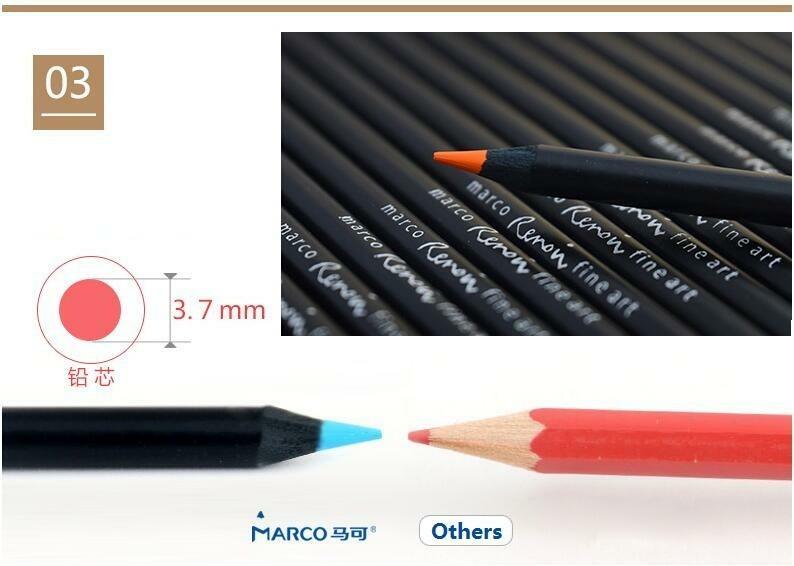 These 3.3mm leads are strong, smooth and points stay sharp longer.Color lays down easily, so little pressure is required. 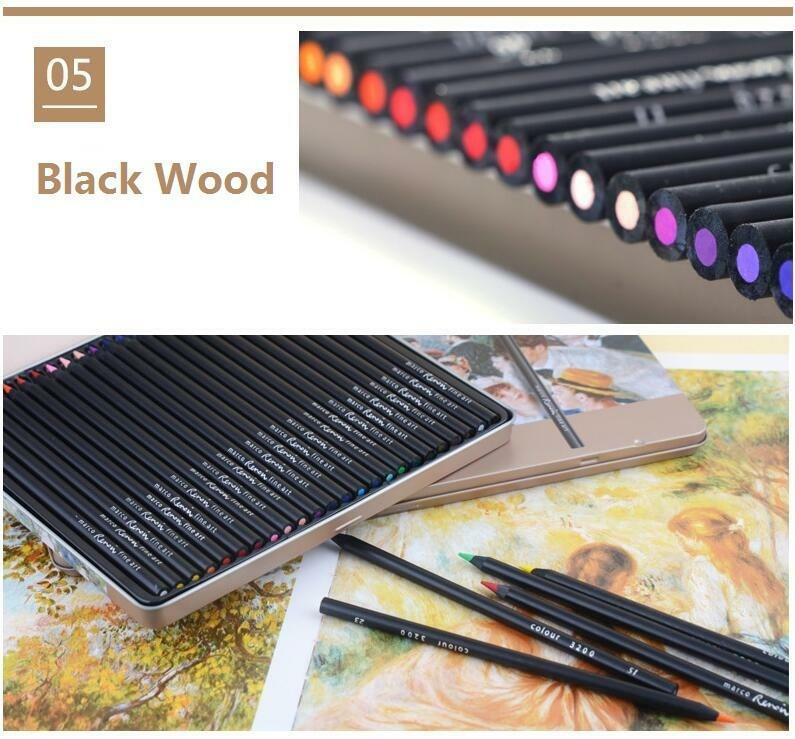 Each pencil is marked with the color number and is painted to match the lead color, so you can easily find the color you need at your fingertips. 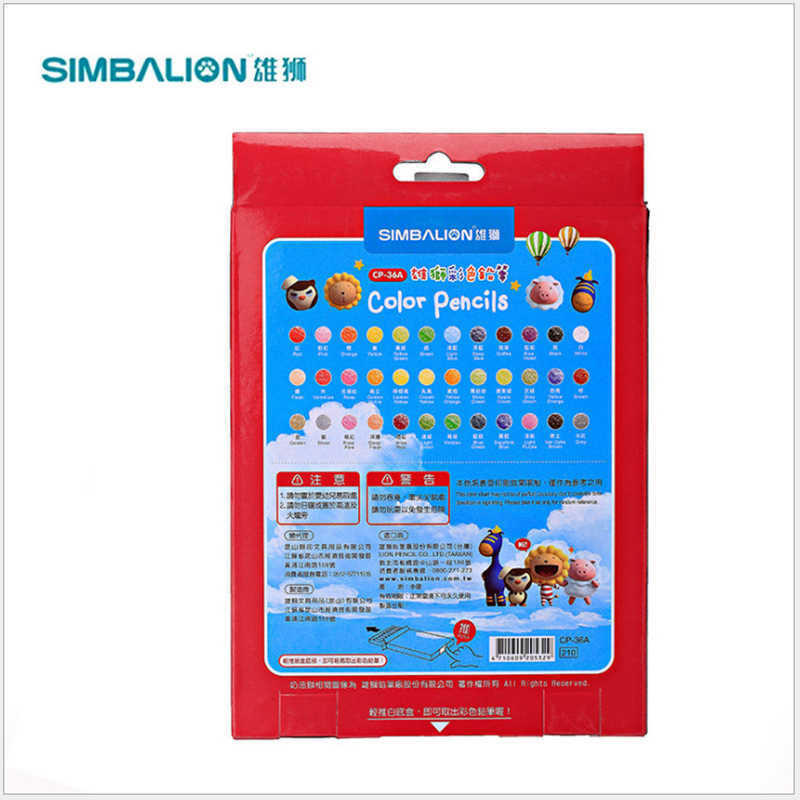 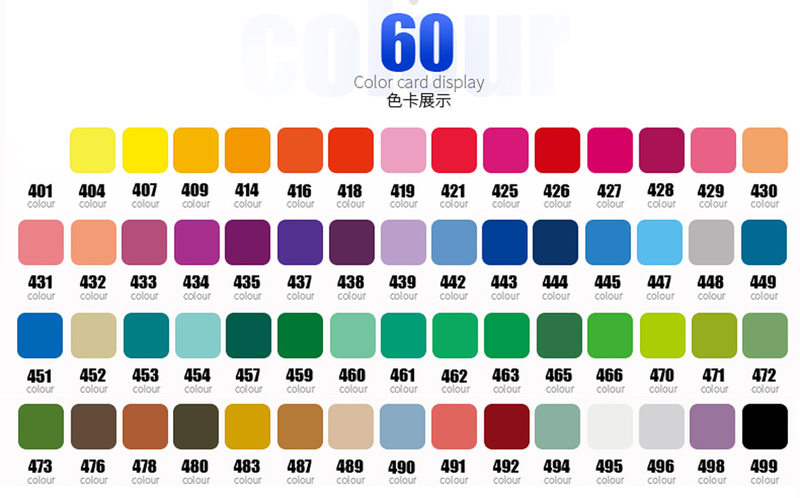 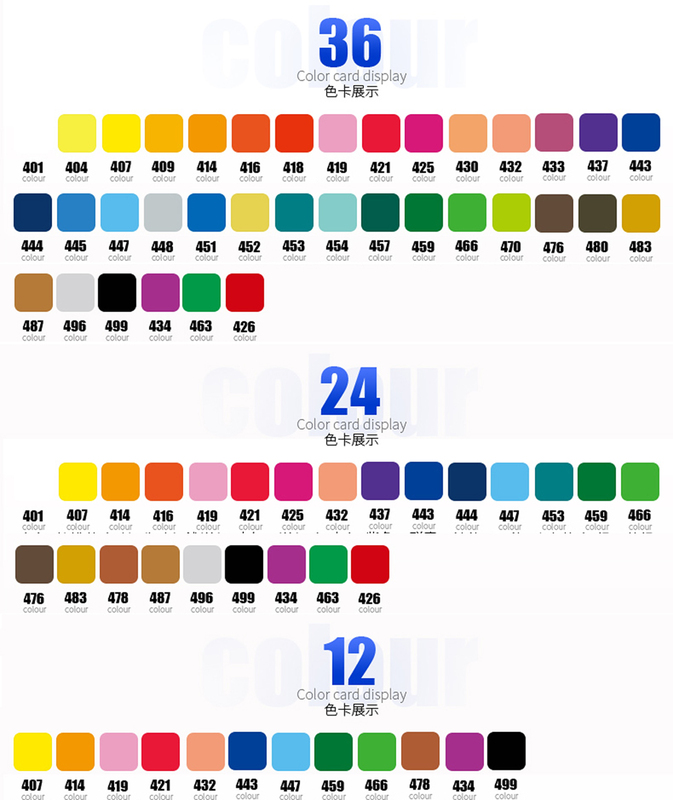 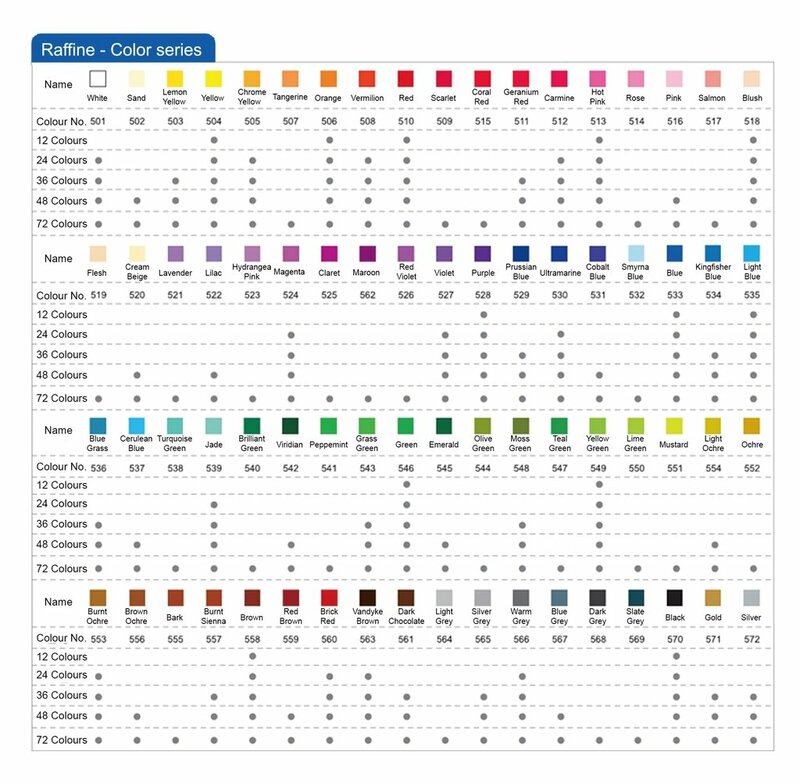 All color names are listed in the product description. 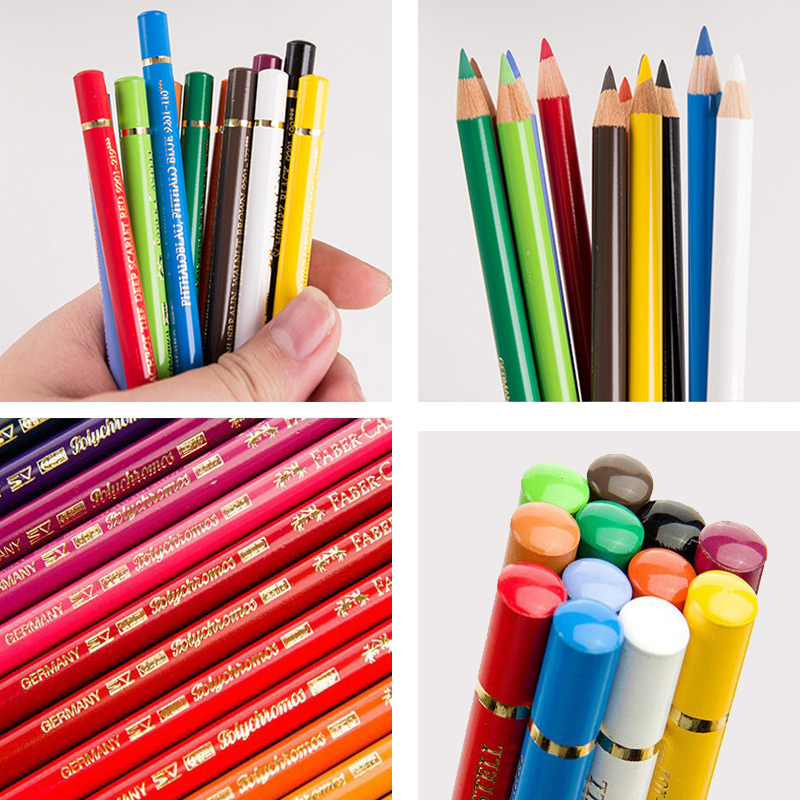 All pencils are pre-sharpened and can be sharpened easily.